Department store Abercrombie & Fitch has announced the retirement of the company’s chief executive officer, Michael Jeffries. Abercrombie & Fitch’s non-executive chairman of the board, Arthur Martinez, will become executive chairman. A new board-established office of the chairman (consisting of Martinez, Chief Operating Officer Jonathan Ramsden, Abercrombie & Fitch brand President Christos Angelides and Hollister brand President Fran Horowitz) will oversee the company’s strategic direction and oversee day-to-day operations until a new CEO takes charge, according to the release. Before his departure – which is effective immediately – Jeffries, 70, had been in charge of the retail store for over two decades, according to Reuters. The sudden retirement in the heart of the Christmas shopping season may be surprising, but not completely unexpected. Controversy has followed the CEO for some time. In May of 2013, website Elite Daily compiled a list of what it said were the 13 most ridiculous things Jeffries had said. Among them were comments about popularity, the cool kids and the demographic he hoped to target at the store. “Candidly, we go after the cool kids. We go after the attractive all-American kid with a great attitude and a lot of friends. A lot of people don’t belong (in our clothes), and they can’t belong,” Jeffries is reported to have said. Thus, it’s safe to assume some were pleased by Tuesday’s news. 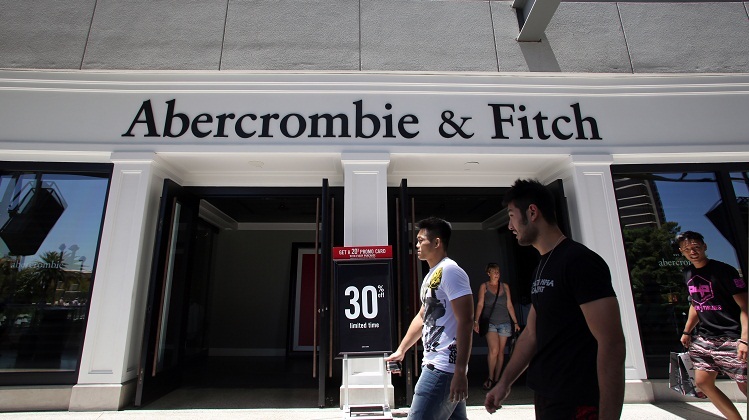 Bloomberg reports that the announcement of the retirement of the controversial CEO has been well-received; the retailer’s stock went up as much as 7.8% to $28.40 in New York – this after Abercrombie & Fitch’s shares fell close to 20% over the past year. So what does all of this mean for shoppers? With new senior leadership at the department store, expect the possibility of a new look, new image and new approach to marketing. Recently, for example, the store has increased its emphasis on online shopping, according to ABC News. The 1892-established clothing company is hosting an online-only promotion of “gifting go-tos” for $20 and less, plus free shipping on orders of more than $50.